TAXIVINALESCUBA.COM is delighted to offer a unique range of specially created transfers allowing clients the opportunity to stop and see an amazing choice of sights as they transfer between the most important tourist locations in Cuba. Available on a daily guaranteed basis for 2 clients or more with a driver/ guide or on a private basis in which clients can enjoy a greater flexibility for stopping en route. An early departure at 07 30 hrs. takes us away from beautiful Viñales and east along the motorway to head south east through the Sugar Cane and Citrus plantations towards the UNESCO preserved Zapata National Park where we stop at Guama. Guama is a replica village of Cuba’s earliest settlers the Taino Indians who lived on the island in the 1100s, the original settlers on the island. Located on a string of small islands and reached by an exhilarating boat ride through the mangroves, there are also a number of life size sculptures depicting the life of these early settlers. A crocodile sanctuary is also located here and you can enter the sanctuary to see the reptiles basking in the sun Continuing the journey into the Zapata National Park we reach the Bay of Pigs the site of the failed CIA backed invasion of Cuba that was repelled by the revolutionary troops led by Fidel Castro himself. We will briefly visit the museum to gain an insight into one of the major world events from the 1960s and an important date in Cuba’s revolutionary history. After a relaxing lunch in the area we will travel along the south coast as the afternoon progresses and stop at a wonderful oasis! The Cueva De Los Peces is a natural salt water pool set in a beautiful and tranquil woodland location. Take an afternoon cooling swim in the waters and spot the huge variety of tropical fish or take a cocktail or a cool beer and sit and enjoy the sun for a while. We continue in the late afternoon to Cienfuegos so you can hopefully arrive in time for the sunset across the bay and we will drop you at your accommodation at around 1900 hrs after a fantastic day. Transport as required with driver/ guide, entrance to Guama and boat ride to the replica village, entrance to the Crocodile Sanctuary, Three course lunch in the Playa Larga area and entrance to Cueva De Los Peces. Any drinks with lunch and drinks or snacks during the day, tips for driver / guide and local guides, tips at lunch venue. An early departure at approximately 0800 hrs. takes us away from beautiful Viñales and east along the motorway where after approximately 90 minutes we will take a short detour to the Botanical Gardens at Soroa, where the largest collection of Orchids can be found in Latin America. With magnificent views of the rolling palm clad hills of the Sierra Del Rosario the gardens are beautiful and contain over 700 species of Orchid alone! We can also enjoy a short walk to the impressive Soroa waterfall, a tranquil setting in a sub-tropical valley. The morning continues and we head through the suburbs of Havana where we make a stop at Finca Vigía, the former Cuban home of the legendary writer and resident of Havana, Ernest Hemingway. The beautiful mansion house remains untouched since he left the house expecting to return! The tour covers the gardens and allows us to look into the rooms from outside. We continue to the village of , the setting for Hemingway´s world famous book “ The Old Man and the Sea “ and after a short orientation walk we will enjoy lunch in the village. After lunch we will take the short journey along the Via Blanca coastal road and as the Havana skyline comes into view, head under the tunnel and into Havana where you will be dropped off at your chosen accommodation at approximately 16:30 hrs. Transport as required with driver/ guide, entrance to Soroa Orchid gardens and waterfall, entrance to Finca Vigía, short tour of Cojímar and three course lunch in Cojímar. An early departure at 07 30 hrs. We head south east through the Sugar Cane and Citrus plantations towards the UNESCO preserved Zapata National Park where we stop at Guama. Guama is a replica village of Cuba’s earliest settlers the Taino Indians who lived on the island in the 1100s, the original settlers on the island. Located on a string of small islands and reached by an exhilarating boat ride through the mangroves, there are also a number of life size sculptures depicting the life of these early settlers. A crocodile sanctuary is also located here and you can enter the sanctuary to see the reptiles basking in the sun. Continuing the journey into the Zapata National Park we reach the Bay of Pigs the site of the failed CIA backed invasion of Cuba that was repelled by Fidel and Che and their revolutionaries. We will briefly visit the museum to gain an insight into one of the major world events from the 1960s and an important date in Cuba’s revolutionary history. We will make a final stop at Cienfuegos known as the Pearl of the South, with a strong French colonial atmosphere and overlooking a beautiful bay. We will wander through the central squares and along the “Malecon” promenade before continuing along the coast road to Trinidad where we will drop you at your accommodation at around 20 00hrs after a long but fantastic day. Transport as required with driver/ guide, entrance to Guama and boat ride to the replica village, entrance to the Crocodile Sanctuary, Three course lunch in the Playa Larga area, entrance to Cueva De Los Peces and tour of Cienfuegos. Any drinks required with lunch and any snacks or drinks during the day, tips for driver / guide and local guides, tips at lunch venue. By booking the tour on a private basis you have the option to stay longer at the sights along the way or indeed add some extra visits if you wish. 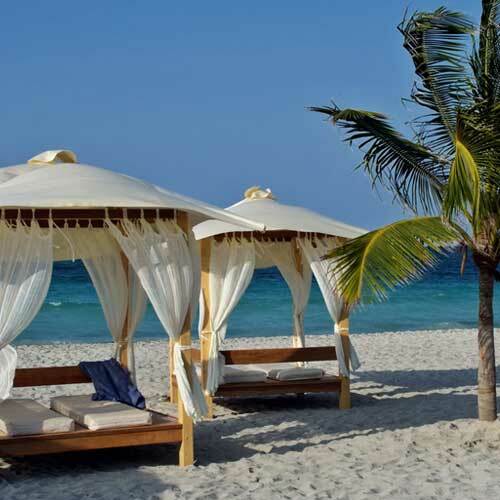 Perhaps spend a little longer in Playa Larga and take in a swim or even a short snorkeling trip. Or spend longer in Cienfuegos and enjoy an evening drink overlooking the bay, bliss! Payment for any extra services that you may wish to enjoy in addition to the services included on the standard tour are payable locally in Cuba. Please do advise us of your requirements in advance so we can brief the driver. A very early departure takes us away from beautiful Viñales and east along the motorway where after approximately 90 minutes we will take a short detour to the Botanical Gardens at Soroa, where the largest collection of Orchids can be found in Latin America. With magnificent views of the rolling palm clad hills of the Sierra Del Rosario the gardens are beautiful and contain over 700 species of Orchid alone! We can also enjoy a short walk to the impressive Soroa waterfall, a tranquil setting in a sub-tropical valley. The morning continues and we head through the suburbs of Havana where we make a stop at Finca Vigía, the former Cuban home of the legendary writer and resident of Havana, Ernest Hemingway. The beautiful mansion house remains untouched since he left the house expecting to return! The tour covers the gardens and allows us to look into the rooms from outside. We continue to the village of Cojímar, the setting for Hemingways world famous book “ The Old Man and the Sea “ and after a short orientation walk we will enjoy lunch in the village. For those who continue to Varadero, after lunch we keep on along the coastal Via Blanca road stopping at Bacunayagua Bridge, Cuba’s tallest and with fantastic views of the Yumuri Valley far below. You could try the fabulous Pina Colada’s here, freshly made with real local pineapples and if you want a big dash of rum! Matanzas city, Cuba’s Venice is the next stop and we will tour this pleasant colonial town overlooking Cuba’s largest bay and in the late afternoon we arrive into Varadero resort and you will be dropped off at the hotel of your choice. Transport as required with driver/ guide, entrance to Soroa Orchid gardens and waterfall, entrance to Finca Vigía, short tour of Cojímar, Three course lunch in Cojímar, scenic stop at Bacunayagua Bridge and short orientation tour of Matanzas. For those clients being dropped off at Jibacoa the tour will not include the Bacunayagua Bridge stop and tour of Matanzas. We depart Soroa/Las Terrazas and head south east through the Sugar Cane and Citrus plantations towards the Zapata National Park, where the first stop will be at Guamá. Guamá is a replica village of Cuba’s earliest settlers the Taino Indians who lived on the island in the 1100s, the original settlers on the island. Located on a string of small islands and reached by an exhilarating boat ride through the mangroves, there are also a number of life size sculptures depicting the life of these early settlers. A crocodile sanctuary is also located here and you can enter the sanctuary to see the reptiles basking in the sun. Continuing the journey into the Zapata National Park we reach the Bay of Pigs the site of the failed CIA backed invasion of Cuba that was repelled by the revolutionary troops led by Fidel Castro himself. We will briefly visit the museum to gain an insight into one of the major world events from the 1960s and an important date in Cuba’s revolutionary history. After a relaxing lunch in the area we will travel along the south coast and stop at a wonderful oasis! The Cueva De Los Peces is a natural salt water pool set in a beautiful and tranquil woodland location. Take an afternoon cooling swim in the waters and spot the huge variety of tropical fish or take a cocktail or a cool beer and sit and enjoy the sun for a while. From the pool the drive onwards to Cienfuegos is not too long and on arrival you will be dropped at the hotel of your choice. Transport as required with driver/ guide, entrance to Guamá and boat ride to the replica village, entrance to the Crocodile Sanctuary, entrance to Bay of Pigs Museum, lunch in the Playa Larga area with one drink included (water, beer, soft drink, rum based drink), entrance to Cueva de Los Peces. Any additional drinks and snacks, tips for driver / guide and local guides, tips at lunch venue. By booking the tour on a private basis you have the option to stay longer at the sights along the way or indeed add some extra visits if you wish. You can leave a little earlier and perhaps spend longer in Playa Larga and take in a swim or even a short snorkeling trip. Or enjoy some bird watching and an eco-trail in the Zapata National Park. If you are a scuba diver perhaps you can dive in Playa Girón. Today we will travel from Soroa / Las Terrazas National Park to another National Park, the UNESCO preserved Zapata National park. First stop is at Guamá, a replica village of Cuba’s earliest settlers the Taino Indians who lived on the island in the 1100s, the original settlers on the island. Located on a string of small islands and reached by an exhilarating boat ride through the mangroves, there are also a number of life size sculptures depicting the life of these early settlers. A crocodile sanctuary is also located here and you can enter the sanctuary to see the reptiles basking in the sun. After a delicious lunch in a local restaurant, you can spend the rest of the day relaxing on the beach or exploring the area. Transport as required with driver/ guide, entrance to Guamá and boat ride to the replica village, entrance to the Crocodile Sanctuary, lunch. By booking the tour on a private basis you have the option to stay longer at the sights along the way or indeed add some extra visits if you wish. You can leave a little earlier and perhaps spend longer in Playa Larga and take in a swim or even a short snorkeling trip. Or enjoy some bird watching and an eco-trail in the Zapata National Park. We depart Soroa/Las Terrazas and head south east through the Sugar Cane and Citrus plantations towards the UNESCO preserved Zapata National Park where the first stop will be at Guamá. After a relaxing lunch in the area we will travel along the south coast towards our next stop, Cienfuegos, known as the Pearl of the South, with a strong French colonial atmosphere and overlooking a beautiful bay. We will wander through the central squares and along the “Malecón” promenade before continuing along the coast road to Trinidad where we will drop you at your accommodation after a fantastic day. Transport as required with driver/guide , entrance to Guama and boat ride to the replica village, entrance to the Crocodile Sanctuary, entrance to Bay of Pigs Museum, lunch in the Playa Larga area with one drink included (water, beer, soft drink, rum based drink), tour of Cienfuegos. By booking the tour on a private basis you have the option to stay longer at the sights along the way or indeed add some extra visits if you wish. You can leave a little earlier and perhaps spend longer in Playa Larga and take in a swim or even a short snorkeling trip. Or enjoy some bird watching and an eco-trail in the Zapata National Park. If you are a scuba diver perhaps you can dive in Playa Girón. Or spend longer in Cienfuegos and enjoy an early evening drink overlooking the bay as the heat of the day reduces and the sun sets ….bliss! Approximately at 08:00 hrs. We depart from Havana and shortly after join one of the world’s quietest motorways and travel through the fields of sugar cane and citrus fruit plantations towards the revolutionary city of Santa Clara. As we get closer to the city the mountains of the Escambray appear in the distance to the south. 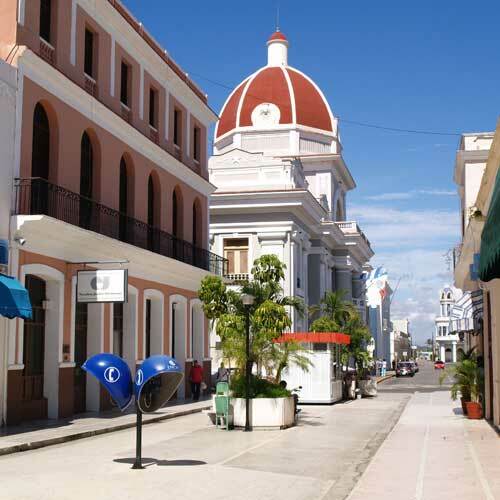 Santa Clara is a city of major historical significance with a very close association with the Revolution. On arrival into the city our first stop will be the impressive remembrance square, museum and final resting place of Ernesto “Che“ Guevara. The museum depicts his fascinating revolutionary life, including many letters between himself and Fidel Castro and other leaders and it’s also possible to visit Che mausoleum, a very sacred site in Cuba. After lunch in the city we will visit “Tren Blindado“ the train attacked in the last days of the Revolution by Che Guevara and his men which became a key turning point in the Cuban Revolution and a local guide can lead us through the events. The journey continues travelling north, away from the city where the countryside becomes more picturesque towards the delightful colonial town of Remedios. Time stands still here and the life is certainly very laid back! The central square is dominated by the most interesting Catholic Church, the oldest in Cuba and containing statues and other artefacts that are globally unique! There will be time for a coffee or drink in the oldest café in Cuba, a visit to the church or a relaxing walk around the town in the later afternoon sun. Continuing on, we soon cross the amazing 45 km long causeway snaking out to sea and linking the mainland to the keys, and on arrival you will be dropped at your chosen hotel at approximately 18:00 hrs. The Che Guevara Museum and Mausoleum do not open on Mondays and so the transfer on a Monday will allow longer for you to explore Santa Clara on an independent basis. However, we do recommend trying NOT to travel on a Monday. This sightseeing transfer can be taken in the opposite direction from Santa María key/ Ensenachos/ Brujas to Havana with the services and prices remaining the same, but in the opposite order. Transport as required with driver/ guide, entrance to the Che Guevara Museum and Mausoleum, lunch in Santa Clara, entrance to “Tren Blindado” in Santa Clara. Additional drinks and snacks during the day, entrance to the church at Remedios, tips for the driver / guide and any local guides. By booking the transfer on a private basis you have the option to stay longer at the sights along the way or indeed add some extra visits if you wish. You can leave a little earlier and perhaps visit the Hatiguanico river situated half way between Havana and Santa Clara, in this place you can take a short boat journey through part of the Zapata National Reserve and enjoy seeing the local flora and fauna, bird watching and perhaps spotting a crocodile! Payment for any extra services that you may wish to enjoy in addition to the services included on the standard transfer are payable locally in Cuba. Please do advise us of your requirements in advance so we can brief the driver. We depart from Havana at 8:00 a.m. and head south east through the Sugar Cane and Citrus plantations towards the UNESCO preserved Zapata National Park where the first stop will be at Guamá. Continuing the journey into the Zapata National Park we reach the Bay of Pigs the site of the failed CIA backed invasion of Cuba that was repelled by the revolutionary troops commanded by Fidel Castro himself. We will briefly visit the museum to gain an insight into one of the major world events from the 1960s and an important date in Cuba’s revolutionary history. From the pool the drive onwards to Cienfuegos is not too long and on arrival you will be dropped at the hotel of your choice. Transport as required with driver/ guide, entrance to Guamá and boat ride to the replica village, entrance to the Crocodile Sanctuary, three course lunch in the Playa Larga area with one drink included (water, beer, soft drink, rum based drink), entrance to Cueva De Los Peces. We depart from Havana and head south east through the Sugar Cane and Citrus plantations towards the UNESCO preserved Zapata National Park where we stop at Guamá. After a relaxing lunch in the area we check-in into the hotel. Transport as required with driver/ guide, entrance to Guama and boat ride to the replica village, entrance to the Crocodile Sanctuary, three course lunch in the Playa Larga area with one drink included (water, beer, soft drink, rum based drink). We depart from Havana at 08: 00 a.m. and head south east through the Sugar Cane and Citrus plantations towards the UNESCO preserved Zapata National Park where the first stop will be at Guamá. Continuing the journey into the Zapata National Park we reach the Bay of Pigs, the site of the failed CIA backed invasion of Cuba that was repelled by the revolutionary troops led by Fidel Castro himself. We will briefly visit the museum to gain an insight into one of the major world events from the 1960s and an important date in Cuba’s revolutionary history. We will make a final stop at Cienfuegos known as the Pearl of the South, with a strong French colonial atmosphere and overlooking a beautiful bay. We will wander through the central squares and along the “Malecón” promenade before continuing along the coast road to Trinidad where we will drop you at your accommodation at around 19 30 hrs. after a fantastic day. Transport as required with driver/ guide, entrance to Guamá and boat ride to the replica village, entrance to the Crocodile Sanctuary, three course lunch in the Playa Larga area with one drink included (water, beer, soft drink, rum based drink), entrance to Cueva de Los Peces, tour of Cienfuegos. By booking the tour on a private basis you have the option to stay longer at the sights along the way or indeed add some extra visits if you wish. You can leave a little earlier and perhaps spend longer in Playa Larga and take in a swim or even a short snorkeling trip. Or enjoy some bird watching and an eco-trail in the Zapata National Park. 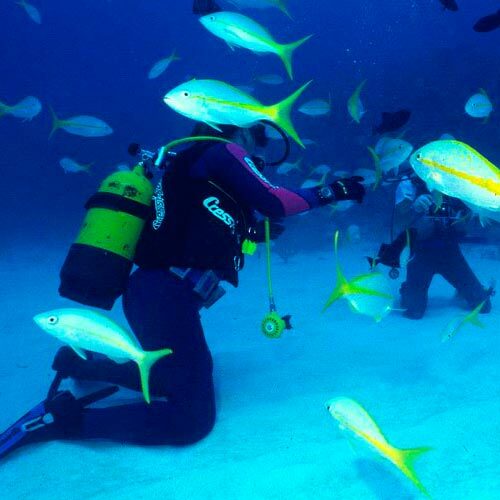 If you are a scuba diver, perhaps you can dive in Playa Girón. Or spend longer in Cienfuegos and enjoy an early evening drink overlooking the bay as the heat of the day reduces and the sun sets ….bliss! After being picked up in our accommodation at about 08:00 a.m. we head to the suburbs of Havana, where we stop at Finca Vigía, the former residence in Cuba of the legendary writer and Havana dweller Ernest Hemingway. This beautiful mansion remains as Hemingway left it, probably because he thought he was going to come back to Cuba. The sightseeing includes the gardens and you can see the rooms but without coming in. We go on our journey to Santa Clara, a city of an extraordinary historical meaning. We are going to visit “Tren Blindado”, a military train which was attacked by the revolutionary troops led by Che Guevara, a battle which meant a turning point in the Cuban Revolution. In this city you can also visit the remains of this legendary leader in the very much symbolic Che Mausoleum. In addition, you can also visit the Che museum where you can learn about his life, before having lunch in the city. After lunch, we drive southwards towards Trinidad, through mountains and numerous small rural villages before reaching the Ingenios valley, a place declared cultural and natural patrimony of this region. There we are going to stop at the Manaca- Iznaga farm, which typically represents the development reached by this region during the XVIII and XIX centuries in Cuba. Before arriving at our accommodation, we have a final stop at the Ingenios valley viewpoint to treasure as an unforgettable memory one of the most beautiful Cuban landscapes. Transport as required with driver/ guide, entrance, introduction and sightseeing of the places referred above with a local guide. Any drinks and snacks during the tour, canopy wire ride in the Ingenios valley viewpoint, tips for driver / guide and local guides. After being picked up from our accommodation at approximately 10:00 hrs. we head to the suburbs of Havana where we make a stop at Finca Vigía, the former Cuban home of the legendary writer and resident of Havana, Ernest Hemingway. The beautiful mansion house remains untouched since he left expecting to return! The tour covers the gardens and allows us to look into the rooms from outside. We continue to the village of Cojímar, the setting for Hemingway’s world famous book “The Old Man and the Sea“ and after a short orientation walk we will enjoy lunch in the village. We continue along the coastal Via Blanca road stopping at Bacunayagua Bridge, Cuba’s tallest and with fantastic views of the Yumurí Valley far below. You could try the fabulous Piña Colada’s here, freshly made with real local pineapples and if you want a big dash of rum! After lunch, Matanzas city, Cuba’s Venice is the next stop and we will tour this pleasant colonial town overlooking Cuba’s largest bay and in the late afternoon we arrive into Varadero resort and you will be dropped off at the hotel of your choice at approximately 16 00 hrs. Just in time to check in! Transport as required with driver/ guide, entrance to Finca Vigía, short tour of Cojímar, Three course lunch in Cojímar, scenic stop at Bacunayagua Bridge and short orientation tour of Matanzas. Departing from Havana at approximately 08:00 hrs., we pass through the exclusive Playa district, where the mansions are incredible and are mainly Ambassadors residences! 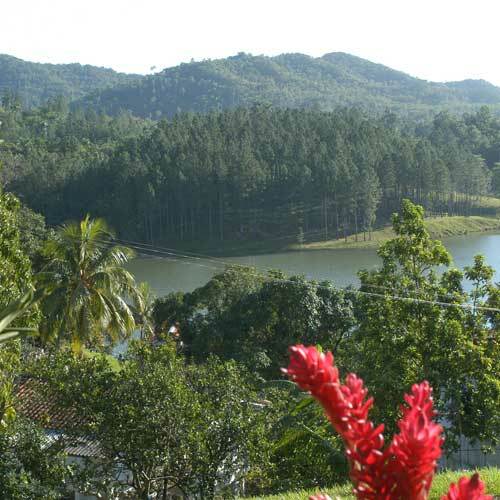 We then head into the rural province of Pinar del Río and our first stop will be at Las Terrazas, a UNESCO preserved Eco Reserve where there is also a small rural community overlooking a large lake and surrounded by forested hills. After a brief introduction to the workings of the Reserve, one of the most important in Latin America, we can visit the partially restored coffee plantation house set on the hilltop with great views to the coast. Here you will learn a little about Cuba’s association with coffee production and the slave trade. Returning to the village, the more adventurous can take an exhilarating wire canopy tour through the tree tops and across the lake! There will also be time to explore the village, enjoy a lovely coffee and snack at Maria’s coffee shop or browse the local artisan workshops. Afterwards we will take a short detour to the Botanical Gardens at Soroa, the largest collection of Orchids that can be found in Latin America. With magnificent views of the rolling palm clad hills of the Sierra Del Rosario the gardens are beautiful and contain over 700 species of Orchid alone! We can also enjoy a short walk to the impressive Soroa waterfall, a tranquil setting in a sub-tropical valley. Continuing down the “autopista” we will then take the road to Viñales and climb up into the mountains towards the spectacular Viñales Valley where we will drop you off at the accommodation of your choice at approximately 1400 hrs. Transport as required with driver/ guide, entrance, briefing and tour of Las Terrazas National Reserve with a local guide. Welcome cocktail at Las Terrazas, entrance to Soroa Orchid gardens and waterfall. Drinks and snacks at Las Terrazas, Canopy Ride, tips to driver or local guide. By booking the tour on a private basis you have the flexibility to stay longer at Las Terrazas, enjoy a cooling swim in the San Juan river or take one of the walks/ treks in the reserve, which would require pre booking, prices available on request. Lunch can also be pre booked which is required in the reserve and we recommend the Campesino restaurant in a local farm, by the San Juan River or at the unique Organic vegetarian restaurant which serves a fascinating lunch of locally produced dishes that even the most avid meat eater will find to their liking. At all lunch venues a set three course lunch menu is £14 including one drink. You could also visit the Soroa Botanical gardens housing over 700 species of Orchid, the Soroa waterfall and in the city of Pinar del Río, close to Viñales you could also enjoy a short tour and a visit to a working cigar factory. All these options are available for local payment at the location. Please do advise us in advance if you are interested in these extra visits so we can brief your driver. 08:00 hrs. 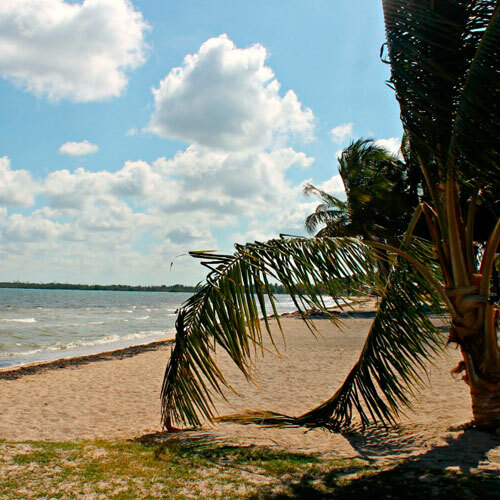 We depart from Varadero and head south east through the Sugar Cane and Citrus plantations towards the UNESCO preserved Zapata National Park where the first stop will be at Guamá. From the pool the drive onwards to Cienfuegos is not too long and on arrival you will be dropped at the hotel of your choice at approximately 17:00 hrs. Transport as required with driver/ guide, entrance to Guamá and boat ride to the replica village, entrance to the Crocodile Sanctuary, three course lunch in the Playa Larga area with one drink included (water, beer, soft drink, rum based drink), entrance to Cueva De Los Peces, entrance to Bay of Pigs Museum. 0800 hrs. We depart from Varadero and head south east through the Sugar Cane and Citrus plantations towards the UNESCO preserved Zapata National Park where the first stop will be at Guamá. We will travel along the south coast as the afternoon progresses and stop at a wonderful oasis! The Cueva de Los Peces is a natural salt water pool set in a beautiful and tranquil woodland location. Take an afternoon cooling swim in the waters and spot the huge variety of tropical fish or take a cocktail or a cool beer and sit and enjoy the sun for a while. We will make a final stop at Cienfuegos known as the Pearl of the South, with a strong French colonial atmosphere and overlooking a beautiful bay. After a delicious lunch in a local restaurant, we will wander through the central squares and along the “Malecón” promenade before continuing along the coast road to Trinidad where we will drop you at your accommodation at around 19:30 hrs. after a fantastic day. Transport as required with driver/ guide, entrance to Guama and boat ride to the replica village, entrance to the Crocodile Sanctuary, entrance to Cueva de Los Peces, entrance to Bay of Pigs Museum, tour of Cienfuegos, lunch in the city. An early departure takes us to Matanzas city, Cuba’s Venice, where we will tour this pleasant colonial town overlooking Cuba’s largest bay. We continue along the coastal Vía Blanca road stopping at Bacunayagua Bridge, Cuba’s tallest and with fantastic views of the Yumurí Valley far below. You could try the fabulous Pina Colada’s here, freshly made with real local pineapples and if you want a big dash of rum! We head through the suburbs of Havana where we make a stop at Finca Vigía, the former Cuban home of the legendary writer and resident of Havana, Ernest Hemingway. The beautiful mansion house remains untouched since he left the house expecting to return! The tour covers the gardens and allows us to look into the rooms from outside. We continue to the village of Cojímar, the setting for Hemingway’s world famous book “The Old Man and the Sea“ and after a short orientation walk. We continue along the motorway where after approximately 60 minutes, we have lunch. After it, we will take a short detour to the Botanical Gardens at Soroa, where the largest collection of Orchids can be found in Latin America. With magnificent views of the rolling palm clad hills of the Sierra Del Rosario the gardens are beautiful and contain over 700 species of Orchid alone! We can also enjoy a short walk to the impressive Soroa waterfall, a tranquil setting in a sub-tropical valley. Continuing down the “autopista” we will then take the road to Viñales and climb up into the mountains towards the spectacular Viñales Valley where we will drop you off at the accommodation of your choice. Transport as required with driver/ guide, short orientation tour of Matanzas, scenic stop at Bacunayagua Bridge, entrance to Finca Vigía, short tour of Cojímar, Three course lunch in Cojímar, entrance to Soroa Orchid gardens and waterfall. By booking the tour on a private basis you have the option to stay longer at the sights along the way or indeed add some extra visits if you wish. Perhaps visit Las Terrazas, the National Reserve close to Soroa. Take a tour of the reserve and community and see the former coffee plantation houses, now restored. Enjoy an exhilarating tree top zip wire ride across the lake or relax by the river. We depart from Playa Larga, the UNESCO preserved Zapata National Park, and head north west through the Sugar Cane and Citrus plantations towards Havana. Our stop on route is at Guamá, a replica village of Cuba’s earliest settlers the Taino Indians who lived on the island in the 1100s, the original settlers on the island. Located on a string of small islands and reached by an exhilarating boat ride through the mangroves, there are also a number of life size sculptures depicting the life of these early settlers. A crocodile sanctuary is also located here and you can enter the sanctuary to see the reptiles basking in the sun. 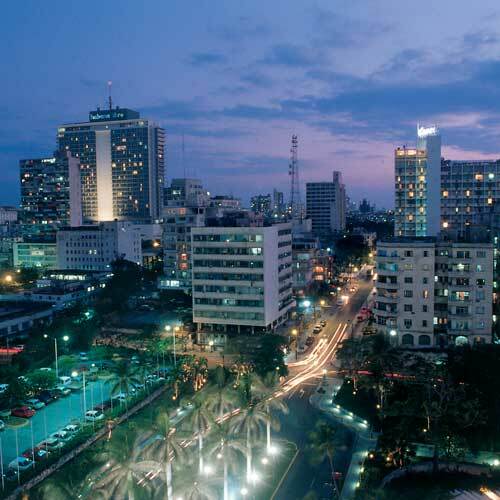 After the visit, we continue our journey to the busy capital city, Havana. Any drinks and snacks, tips for driver / guide and local guides, tips at lunch venue. By booking the tour on a private basis you have the option to stay longer at the sights along the way or indeed add some extra visits if you wish. Today we will travel from the UNESCO preserved Zapata National park to Soroa / Las Terrazas National Park, an area of outstanding natural beauty, protected as one of Cuba’s most important National Parks. Our journey starts at Guamá, a replica village of Cuba’s earliest settlers the Taino Indians who lived on the island in the 1100s, the original settlers on the island. Located on a string of small islands and reached by an exhilarating boat ride through the mangroves, there are also a number of life size sculptures depicting the life of these early settlers. A crocodile sanctuary is also located here and you can enter the sanctuary to see the reptiles basking in the sun. After a delicious lunch in a local restaurant, we will continue along the motorway though the Sugar Cane and Citrus plantations all the way to Soroa / Las Terrazas. As we depart from Playa Larga we travel along the south coast and our first stop is at a wonderful oasis! The Cueva de Los Peces is a natural salt water pool set in a beautiful and tranquil woodland location. Take a cooling swim in the waters and spot the huge variety of tropical fish or take a cocktail or a cool beer and sit and enjoy the sun for a while. Continuing the journey into the Zapata National Park we reach the Bay of Pigs the site of the failed CIA backed invasion of Cuba that was repelled by Fidel Castro himself leading his revolutionary troops. We will briefly visit the museum to gain an insight into one of the major world events from the 1960s and an important date in Cuba’s revolutionary history. Next stop is Cienfuegos known as the Pearl of the South, with a strong French colonial atmosphere and overlooking a beautiful bay. After a lovely lunch in a local restaurant, we will wander through the central squares and along the “Malecón” promenade before continuing along the coast road to Trinidad where we will drop you at your accommodation after a fantastic day. Transport as required with driver/ guide, entrance to Cueva de Los Peces, entrance to Bay of Pigs Museum, tour of Cienfuegos, lunch in Cienfuegos. By booking the tour on a private basis you have the option to stay longer at the sights along the way or indeed add some extra visits if you wish. You can leave a little earlier and perhaps spend longer in Cienfuegos and enjoy an early evening drink overlooking the bay as the heat of the day reduces and the sun sets ….bliss! Today we will travel from the UNESCO preserved Zapata National park to beautiful Viñales. After a delicious lunch in a local restaurant, we will continue along the motorway though the Sugar Cane and Citrus plantations all the way to beautiful Viñales. An early departure around 08:00 will take us through the South of the Escambray mountains, an extraordinary place of natural beauty with spectacular views and one of the most sightseeing journeys in Cuba. We will reach El valle de los Ingenios where we will be able to delight a wonderful view of sugar cane plantations from the look out in a tower and where there were near 40 sugar cane home maker farms in the biggest epoch of the sugar industry in Cuba. We will see ruins of these constructions from IXX century as well as the house where important lieutenant lived in the mentioned century and witness how life for slaves in barracks was. Our journey continues through the mountains and past numerous small rural villages until we reach Santa Clara, a city of major historical significance. We will visit “Tren Blindado” the train that was attacked by Che Guevara and the turning point in the Cuban Revolution, as well as the final resting place of Che Guevara at the very symbolic Che Mausoleum. There will also be time to visit a museum dedicated to his life before we head for lunch in the city. After lunch, we will head east towards Ciego de Ávila and then north towards the 40 km long causeway that will take you to Coco key/Guillermo key and drop you at your chosen accommodation at approximately 18:00 hrs. This sightseeing transfer can be taken in the opposite direction from Coco key / Guillermo key to Trinidad with the services and prices remaining the same, but in the opposite order. Transport as required with driver/ guide, Valle de los Ingenios, Che Guevara Museum, Mausoleum and Tren Blindado in Santa Clara. Lunch in the city. By booking the tour on a private basis you have the option to stay longer at the sights along the way or indeed add some extra visits if you wish. You can leave a little earlier and perhaps spend longer in the Escambray Mountains and take a short trek to the waterfall for a swim in the cool pools. Or enjoy some bird watching on an eco-trail in the mountains. 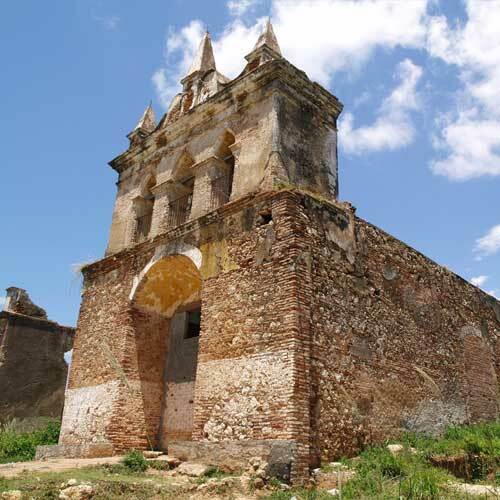 You can also make a stop in the city of Ciego de Ávila for a short orientation tour. Our journey continues through the mountains and past numerous small rural villages until we reach Santa Clara, a city of major historical significance. We will visit “Tren Blindado” the train that was attacked by Che Guevara and a turning point in the Cuban Revolution as well as the final resting place of Che Guevara at the very symbolic Che Mausoleum. There will also be time to visit a museum dedicated to his life before we head for lunch in the city. After lunch, we will head north through some beautiful countryside to the delightful colonial town of Remedios. Time stands still here and the life is certainly very laid back! The central square is dominated by the most interesting Catholic Church, the oldest in Cuba and containing statues and other artefacts that are globally unique! There will be time for a coffee or drink in the oldest café in Cuba a visit to the church or a relaxing walk around the town in the later afternoon sun. Continuing on, we soon cross the amazing 45 km long causeway snaking out to sea and linking the mainland to the keys and on arrival you will be dropped at your chosen hotel at approximately 17:00 hrs. This sightseeing transfer can be taken in the opposite direction from Santa María key/ Ensenachos/ Brujas to Trinidad with the services and prices remaining the same, but in the opposite order. By booking the tour on a private basis you have the option to stay longer at the sights along the way or indeed add some extra visits if you wish. You can leave a little earlier and perhaps spend longer in the Escambray Mountains and take a short trek to the waterfall for a swim in the cool pools. Or enjoy some bird watching on an eco-trail in the mountains. Our journey continues through the mountains and past numerous small rural villages until we reach Santa Clara, a city of major historical significance. We will visit “Tren Blindado” the train that was attacked by Che Guevara and a turning point in the Cuban Revolution, as well as the final resting place of Che Guevara at the very symbolic Che Mausoleum. There will also be time to visit a museum dedicated to his life before we head for lunch in the city. After lunch, we will head west along the very quiet speedway to Havana and drop you off at your chosen accommodation at approximately 18:00 hrs. As we depart from Trinidad and head towards the UNESCO National Park Zapata, our first stop on route is Cienfuegos known as the Pearl of the South, a city with a strong French colonial atmosphere and overlooking a beautiful bay. We will wander through the central squares and along the “Malecón” promenade before continuing along the south coast. We will continue to the Bay of Pigs, the site of the failed CIA backed invasion of Cuba that was repelled by the revolutionary troops led by Fidel Castro himself. We will briefly visit the museum to gain an insight into one of the major world events from the 1960s and an important date in Cuba’s revolutionary history. After visiting the Bay of Pigs, our next stop is at a wonderful oasis! The Cueva de Los Peces is a natural salt water pool set in a beautiful and tranquil woodland location. Take an afternoon cooling swim in the waters and spot the huge variety of tropical fish or take a cocktail or a cool beer and sit and enjoy the sun for a while. After a delicious lunch in a local restaurant, we have the rest of the day to explore the area independently. Transport as required with driver/ guide, tour of Cienfuegos, entrance to Bay of Pigs Museum, entrance to Cueva de Los Peces, three course lunch in the Playa Larga area with one drink included (water, beer, soft drink, rum based drink). An early departure takes us away to the Natural Park Las Terrazas, along the motorway through the Sugar Cane and Citrus plantations. We will pass through the UNESCO preserved Zapata National Park where we stop at the Bay of Pigs and Guamá. The first stop however will be in Cienfuegos known as the Pearl of the South, a city with a strong French colonial atmosphere and overlooking a beautiful bay. We will wander through the central squares and along the “Malecón” promenade. After leaving Cienfuegos we will continue to the Bay of Pigs, the site of the failed CIA backed invasion of Cuba that was repelled by the revolutionary troops led by Fidel Castro himself. We will briefly visit the museum to gain an insight into one of the major world events from the 1960s and an important date in Cuba’s revolutionary history. Lunch will take place in a local restaurant. Our next stop on the list is Guamá, a replica village of Cuba’s earliest settlers the Taino Indians who lived on the island in the 1100s, the original settlers on the island. Located on a string of small islands and reached by an exhilarating boat ride through the mangroves, there are also a number of life size sculptures depicting the life of these early settlers. A crocodile sanctuary is also located here and you can enter the sanctuary to see the reptiles basking in the sun. We will continue along the motorway though the Sugar Cane and Citrus plantations all the way to Soroa / Las Terrazas. Transport as required with driver/ guide, tour of Cienfuegos, entrance to Bay of Pigs museum, entrance to Guamá and boat ride to the replica village, entrance to the Crocodile Sanctuary, three course lunch in the Playa Larga area with one drink included (water, beer, soft drink, rum based drink). By booking the tour on a private basis you have the option to stay longer at the sights along the way or indeed add some extra visits if you wish. You can leave a little earlier and perhaps spend longer in Playa Larga and take in a swim or even a short snorkeling trip. Or enjoy some bird watching and an eco-trail in the Zapata National Park. If you are a scuba diver perhaps you can dive in Playa Girón. Or spend longer in Cienfuegos and enjoy an early evening drink overlooking the bay as the heat of the day reduces and the sun sets….bliss! After lunch, we will head west along the very quiet speedway to Varadero or Jibacoa, where you will be dropped off at your chosen accommodation, at approximately 18:00 hours. 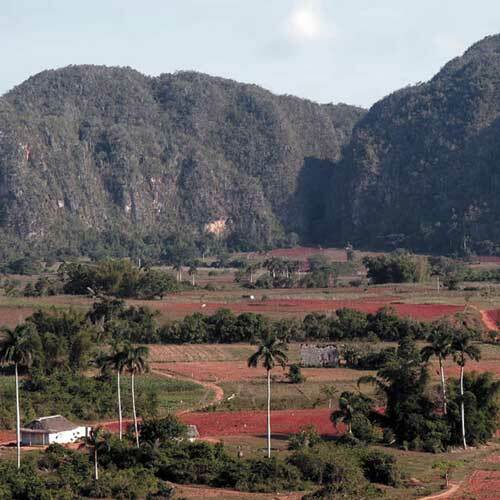 An early departure takes us away to beautiful Viñales, along the motorway through the Sugar Cane and Citrus plantations. We will pass through the UNESCO preserved Zapata National Park where we stop at the Bay of Pigs and Guamá. After leaving Cienfuegos we continue to the Bay of Pigs, the site of the failed CIA backed invasion of Cuba that was repelled by the revolutionary troops led by Fidel Castro himself. We will briefly visit the museum to gain an insight into one of the major world events from the 1960s and an important date in Cuba’s revolutionary history. After a full day, we can relax on the bus admiring the landscape and observing the changes in the local plantations, from sugar cane and citrus to tobacco on arrival at Viñales. Our journey from Cienfuegos to Havana goes past numerous small rural villages until we reach Santa Clara, a city of major historical significance. We will visit “El Tren Blindado” the train that was attacked by Che Guevara and meant a turning point in the Cuban Revolution, as well as the final resting place of Che Guevara at the very symbolic Che Mausoleum. There will also be time to visit a museum dedicated to his life before we head for lunch in the city. After lunch in a local restaurant, we will head west along the very quiet speed way to Havana and drop you off at your chosen accommodation. Transport as required with driver/ guide, Che Guevara Museum, Mausoleum and Tren Blindado in Santa Clara. Lunch in the city. Any additional drinks and snacks, tips for the driver / guide and local guides, tips at lunch venue. By booking the tour on a private basis you have the option to stay longer at the sights along the way or indeed add some extra visits if you wish. You can leave a little earlier and perhaps spend longer in Santa Clara, enjoying the city. After leaving Cienfuegos our first stop is at the Bay of Pigs, the site of the failed CIA backed invasion of Cuba that was repelled by the revolutionary troops led by Fidel himself. We will briefly visit the museum to gain an insight into one of the major world events from the 1960s and an important date in Cuba’s revolutionary history. We will then continue to a wonderful oasis! The Cueva de Los Peces is a natural salt water pool set in a beautiful and tranquil woodland location. Take a cooling swim in the waters and spot the huge variety of tropical fish or take a cocktail or a cool beer and sit and enjoy the sun for a while. Lunch will take place in a local restaurant in Playa Larga. Transport as required with driver/ guide, entrance to Bay of Pigs museum, entrance to Cueva de Los Peces, entrance to Guamá and boat ride to the replica village, entrance to the Crocodile Sanctuary, three course lunch in the Playa Larga area with one drink included (water, beer, soft drink, rum based drink). By booking the tour on a private basis you have the option to stay longer at the sights along the way or indeed add some extra visits if you wish. You can leave a little earlier and perhaps spend longer in Playa Larga and take in a swim or even a short snorkeling trip. Or enjoy some bird watching and an eco-trail in the Zapata National Park. If you are a scuba diver, perhaps you can dive in Playa Girón. Our journey from Cienfuegos to Varadero goes past numerous small rural villages until we reach Santa Clara, a city of major historical significance. We will visit “Tren Blindado” the train that was attacked by Che Guevara and meant a turning point in the Cuban Revolution, as well as the final resting place of Che Guevara at the very symbolic Che Mausoleum. There will also be time to visit a museum dedicated to his life before we head for lunch in the city. After lunch in a local restaurant, we will head west along the very quiet speedway to Varadero, where you will be dropped off at your chosen accommodation. An early departure takes us to beautiful Viñales, along the motorway through the Sugar Cane and Citrus plantations. We will pass through the UNESCO preserved Zapata National Park where we stop at the Bay of Pigs and Guamá. After leaving Cienfuegos our first stop is at the Bay of Pigs, the site of the failed CIA backed invasion of Cuba that was repelled by Fidel himself and his revolutionary troops. We will briefly visit the museum to gain an insight into one of the major world events from the 1960s and an important date in Cuba’s revolutionary history. After a full day, we can relax on the bus admiring the landscape and observing the changes in the local plantations, from sugar cane and citrus to tobacco, as our final stop, Viñales is best known for its tobacco fields. By booking the tour on a private basis you have the option to stay longer at the sights along the way or indeed add some extra visits if you wish. 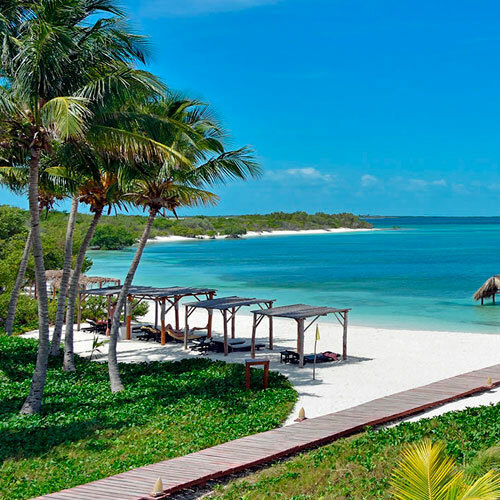 Perhaps spend a little longer in Playa Larga and take in a swim or even a short snorkeling trip. 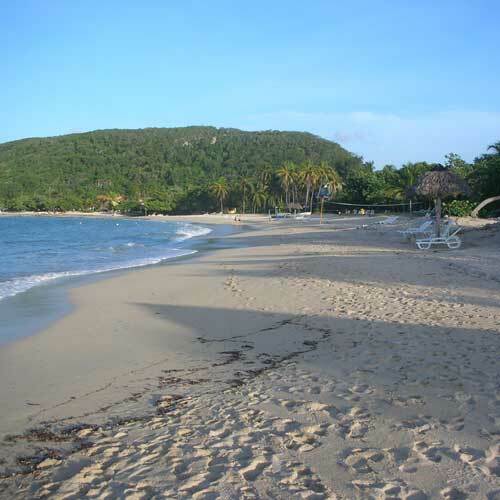 If you are a scuba diver, perhaps you can dive in Playa Girón.